Fire-Rescue ended the month long Fire Prevention Education last week, finishing up at Bells Elementary School. 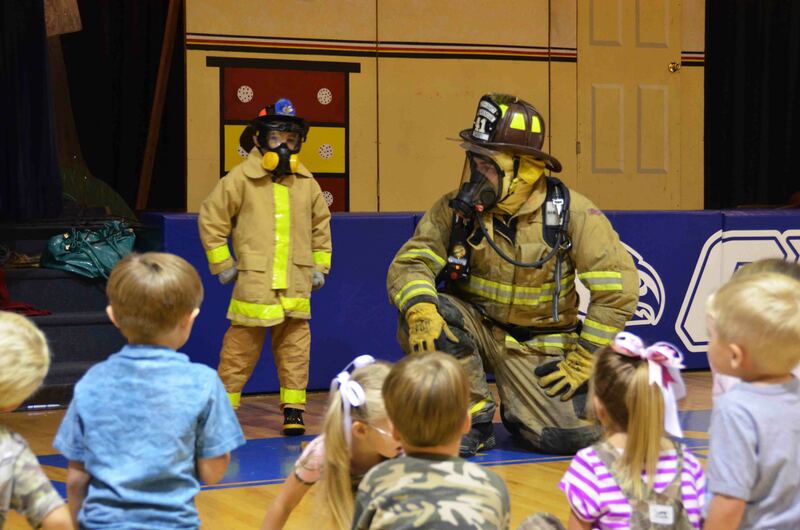 The program runs throughout the year with presentations and demonstrations, but a concentrated effort to reach the younger school aged children coincides with National Fire Prevention Week during October. Click here for additional information. A report of a tractor trailer fire loaded with equipment, sent multiple units to the intersection of Broxton Bridge Highway (US 601) and Confederate Highway (SC 641) 30-October at 12:24. 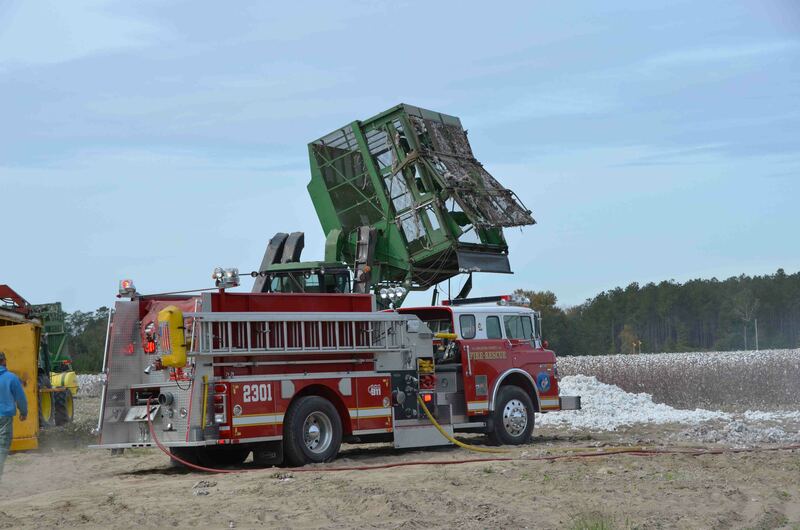 Engine 23 arrived to find a large, tractor trailer sized bale of cotton on fire and a damaged John Deere Combine which had already been extinguished. Several responding fire units were cancelled. Click here for more information. Click here to view information regarding the upcoming benefit for Candy Pilch. Ms. Pilch is the mother-in-law of Station 6 Captain Richie Wood. 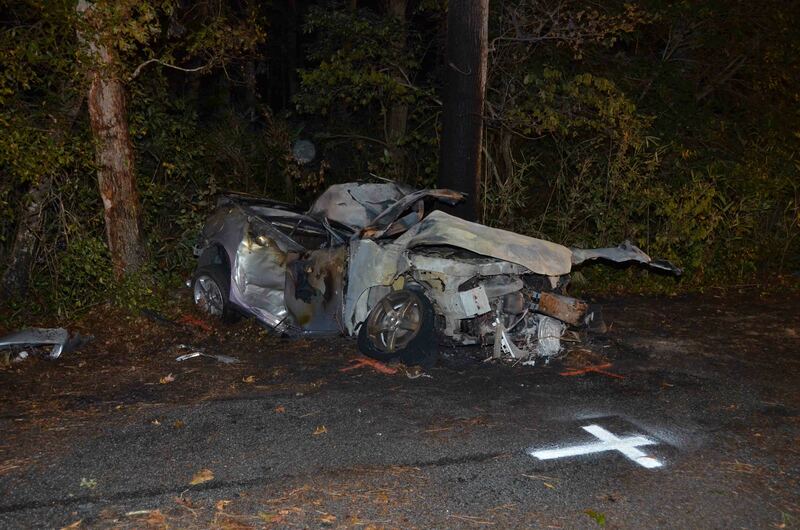 A 25 year old Lodge man died in a high speed, fiery crash in the 3000 block of Carters Ford Road, just north of Mare Bay Drive Sunday evening 28-October. 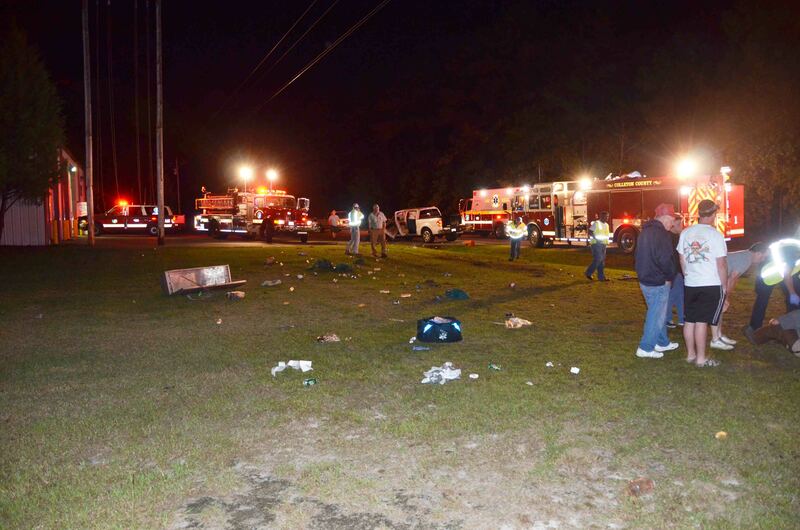 At 20:15, Colleton 9-1-1 Operators initially received a call from On-Star reporting a collision with air bag deployment in that general area, according to GPS coordinates. Click here for additional information. 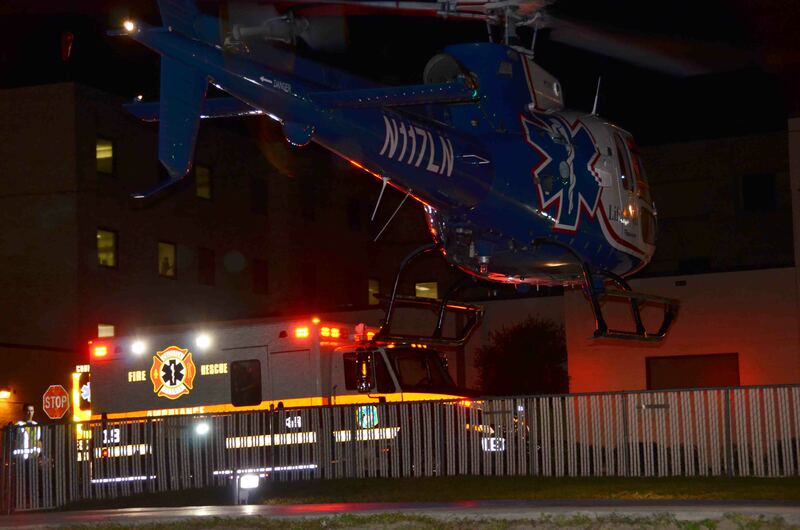 A 49 year old female received multiple traumatic injuries, including a head injury after she reportedly jumped from a moving vehicle in the 8100 block of Jacksonboro Road in the Town of Cottageville, Sunday morning 28-October at 00:57. 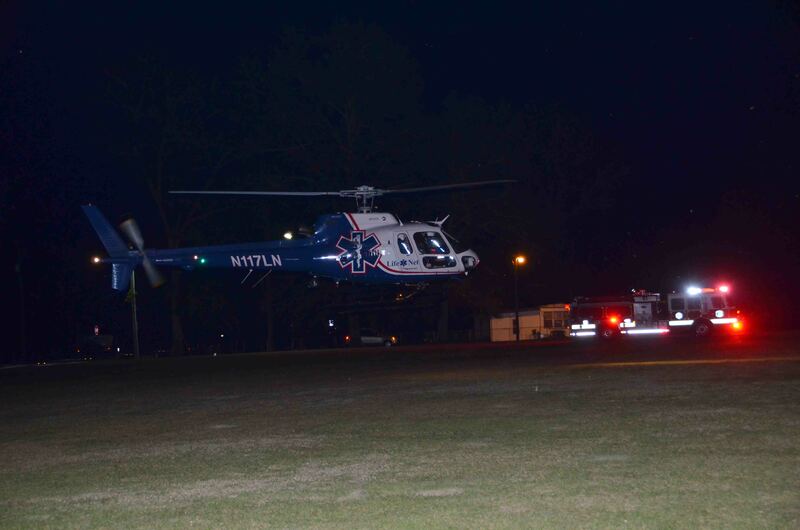 The woman was able to make her way to a residence near the accident site to request assistance. Click here for additional information. Two young colts perished in a mid-afternoon fire at DC Farms, located at 628 Southern Charm Road near the Hudson Mill Community, Saturday 20-October. The fire was reported at 15:45, when a neighbor who was returning home noticed smoke through the woods and went to investigate. 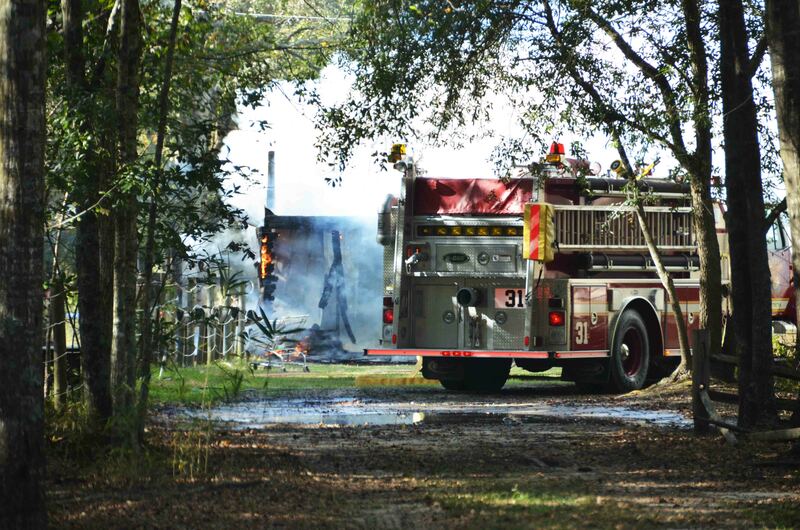 They found the barn fully involved and called 9-1-1. Click here for additional information. One woman is dead and two other adults were injured after a SUV left the roadway and overturned, ejecting one occupant. 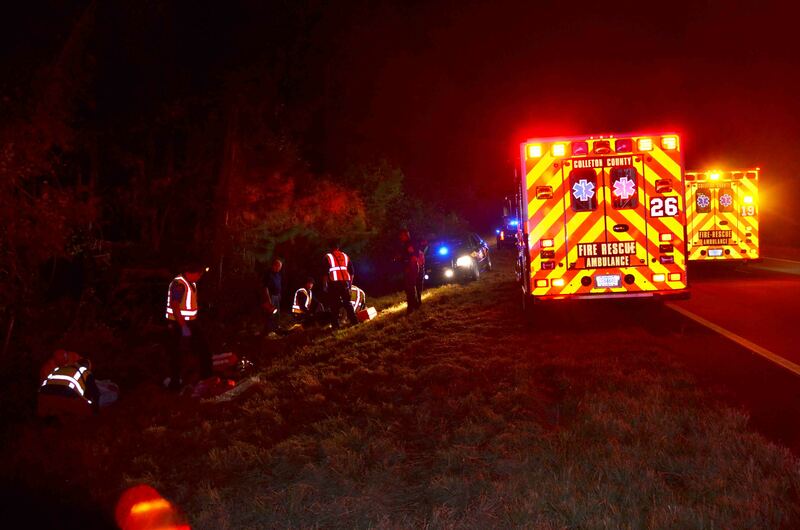 The accident occurred Sunday morning 14-October at 00:36 near the 68 mile marker on Interstate 95. The southbound Jeep Cherokee lost control, left the roadway at a high rate of speed, struck several trees and overturned. The SUV suffered heavy damage. Click here for additional information. Two adults were shot and a child was injured during a shooting incident that occurred at 212 Enterprise Street Saturday night 13-October at 21:12. An unknown subject, using what is suspected to be a semi-automatic rifle, fired more than a dozen rounds into a singlewide mobile home. The home was riddled with bullets, many of which went completely through the residence. Click here for additional information. A two vehicle MVC injured five people, two critically, Monday evening 08-October at 20:21. An east bound Chevrolet Pickup Truck left the roadway, struck a driveway culvert in front of Fire Station # 8 at 3551 Black Creek Road and became airborne. The truck struck a glancing blow to a parked Ford pickup that was stopped in the driveway... click here for additional information. 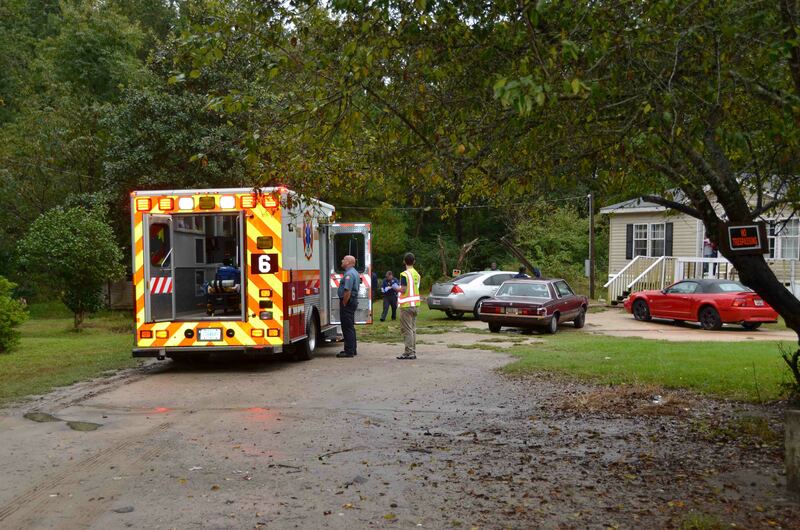 A 24 year old Jacksonboro man died from multiple gunshot wounds following a shooting incident at 72 Perkins Path Monday evening 08-October at 18:08. Sheriff’s Deputies cleared the scene, detaining one man so Firefighter-Paramedics could treat the individual who was down in the front yard. Click here for additional information. Click here to view video of the National Fallen Firefighters (NFFF) Wreath Laying at the Tomb of the Unknown Soldier. 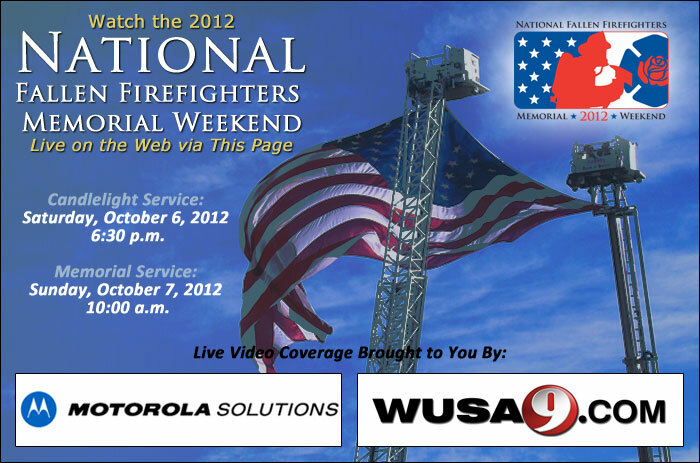 Colleton County Fire-Rescue is honored to be streaming coverage of the 2012 NFFF Memorial Weekend live from Emmitsburg, MD on this website. The candlelight service will be Saturday, October 6, 2012 at 18:30 and the Memorial Service will be Sunday, October 7, 2012 at 10:00. Click here to view live streaming of the events.